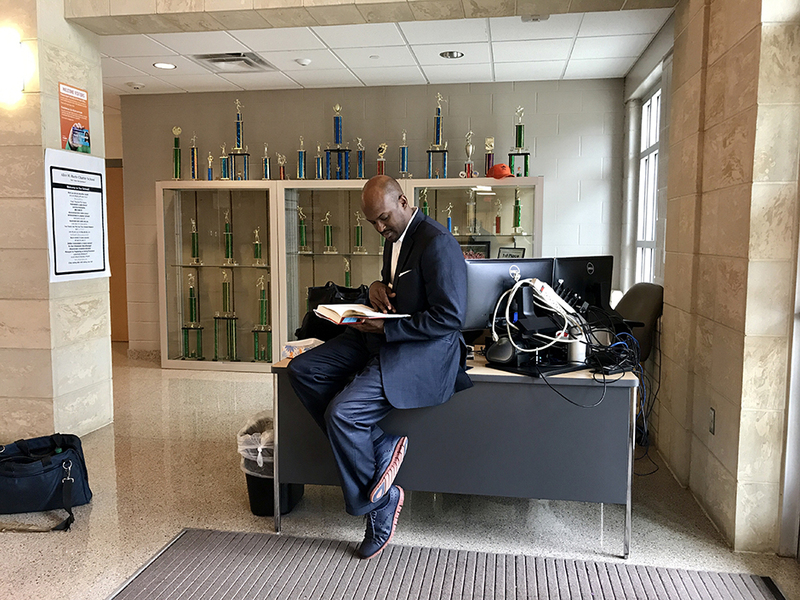 Jamar McKneeley, CEO of InspireNOLA Charter Schools, scans “Reinventing America’s Schools” at the Alice M. Harte Charter School in New Orleans, La. The 74 traveled the country to document the faces and stories of the individuals who are leading the charge to bring new models of education to students across some of the most diverse urban landscapes. Here’s a behind-the-scenes look at the makings of this project as we got to know the changemakers reinventing America’s schools in New Orleans. 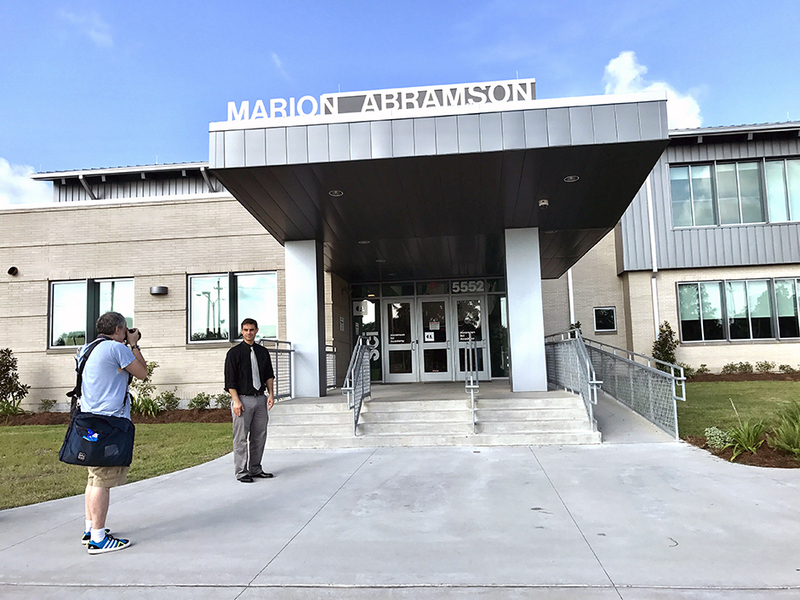 The 74’s Jim Fields photographs Collegiate Academies CEO Ben Markowitz at Abramson Sci Academy in New Orleans, La. 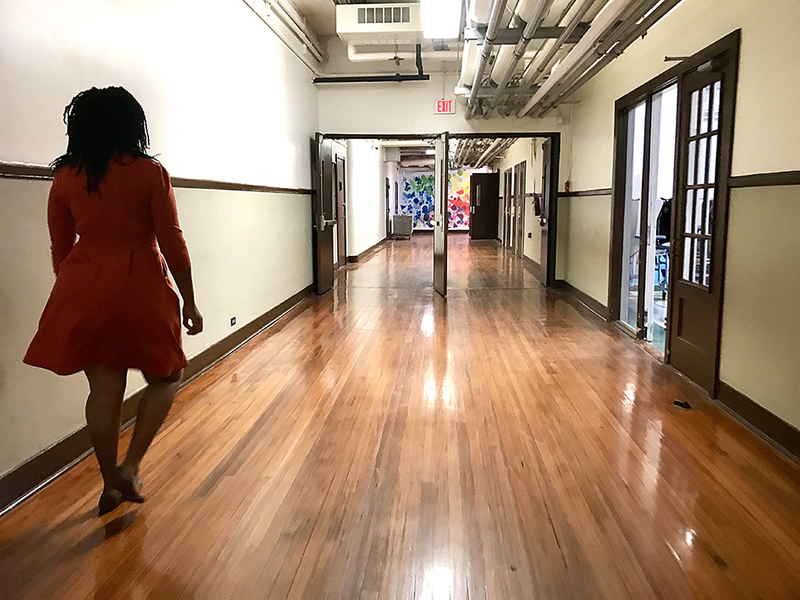 Towana Pierre-Floyd, school leader at KIPP Camp Renaissance Early College Academy, walks down the hall of her school in New Orleans, La. 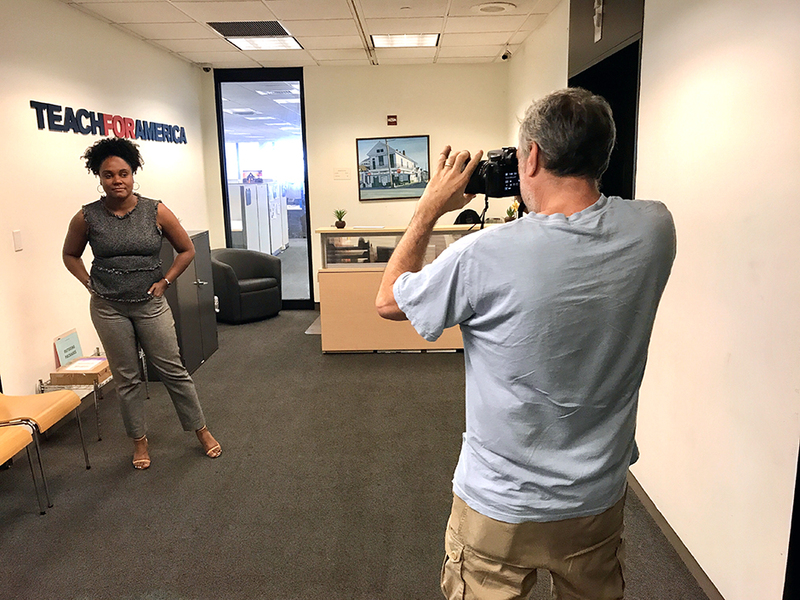 The 74’s Jim Fields photographs Kira Orange Jones at Teach For America’s offices in New Orleans, La. Jones is senior vice president for regional operations for Teach For America, former executive director for Teach For America- Greater New Orleans, and state board member for the Louisiana Board of Elementary and Secondary Education representing New Orleans. 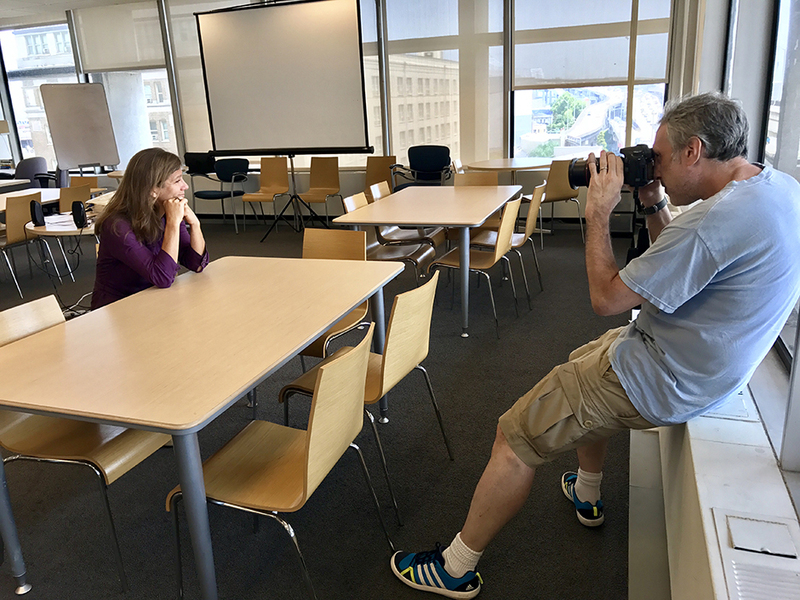 The 74’s Jim Fields photographs Orleans Parish School Board member Sarah Usdin in New Orleans, La.